In Jesus, Judas believes he has found the One—the promised Messiah and future king of the Jews, destined to overthrow Roman rule. Galvanized, he joins the Nazarene’s followers, ready to enact the change he has waited for all his life. But soon Judas’s vision of a nation free from Rome is crushed by the inexplicable actions of the Nazarene himself, who will not bow to social or religious convention—who seems, in the end, to even turn against his own people. At last, Judas must confront the fact that the master he loves is not the liberator he hoped for, but a man bent on a drastically different agenda. Iscariot is the story of Judas, from his tumultuous childhood to his emergence as the man known to the world as the betrayer of Jesus. But even more, it is a singular and surprising view into the life of Jesus that forces us to reexamine everything we thought we knew about the most famous—and infamous—religious icons in history. Ever since Tosca announced that she was writing this book in 2010, I have been eagerly waiting for this to come out. I loved her first two books, Demon and Havah: The Story of Eve, and a novel about Judas Iscariot is something that I know only Tosca can write with the same heart-wrenching clarity and sensitivity that she did in her first two books. When it came up available in Netgalley, I immediately got it and saved it in my Kindle. Of course, it took me ages to finally start it, until I decided that it would be my Holy Week read. Judas Iscariot. The traitor. The betrayer. It’s so easy to hate him, and blame him, because if he didn’t sell Jesus for 30 silver coins, then maybe Jesus wouldn’t have died. It was simple, right? But have we ever wondered that even if Judas hadn’t done what he did, would Jesus still have died? After all, it was salvation history, and it was God the Father’s will for the Son of Man. Would someone else have betrayed him? And we always associate Judas with something evil, but if he was evil, why would he even be a part of Jesus’ closest circle? Why would Jesus even call Judas friend? Iscariot doesn’t attempt to answer this, but instead presents what we know of Jesus’ time in an even more clarity. Tosca brings us to the heart of that time — the social and political unrest of the Jews against the Romans, the religious customs of the Jewish and how important it is to them, and how the Pharisees just seem to be everywhere. And then there’s Jesus, who shocks everyone and speaks of a radical faith, heals people, drives out demons and resurrects the dead. We see all this in the eyes of Judas bar Simon, who came from a tumultuous childhood and is desperately wishing for a messiah. When his paths cross with Jesus the Nazarene of questionable birth and he follows him together with eleven other men, he wonders if he is the one. He wonders, and dares to hope, torn between love for his master and wanting a specific vision for the people. In Iscariot, we see Jesus through human eyes — through doubting, human eyes and a heart that is so scared to hope — and it brings the readers this question: if I were Judas at that time, would I have done the same thing if I thought it was the right thing? In a flash of lightning, I saw the sandaled feet of Jesus, flagging against the floor of the boat, loosely in the water, like the body of a dead man, floating. Had he drowned, then, there beneath the stern? Had he departed from us silently, without even a word of farewell? Soon we would all be fortunate to float like that on any water here. I told myself to let go, to lunge forward and seize him by the legs. Then the boat jinked sideways, throwing us all backward. For a horrifying instant, I thought we would capsize. I opened my mouth to cry out to him, only to be slapped in the face with a crashing wave that slapped my ears and sent my head ringing. It was a horrid sound, that scream. I would remember it for the rest of my life. The words had not been shouted to the furious wind or issued to the sky, but spoken as through directly to my heart. I’m not very good with history or theology, so I can’t speak if this book is super accurate, but for a piece of historical “fiction”, this definitely made me think. It made me feel sympathetic at the least, and it made me see Jesus in a different light. It made me see my Savior’s passion and death in a different perspective. It made me see my own humanity, and the depth of Jesus’ love even for those who He knew would betray Him. And aren’t we all that, anyway? Haven’t be betrayed him at some point in our life? And won’t we betray him in the future, because we are human and we are weak? And Jesus knows that…still, He loves us without a doubt. I finished reading Iscariot before 3:00pm on Good Friday, and I was a little overwhelmed with the time and how it ended. I knew how it would end, and yet…it left me somber. It left me sad. 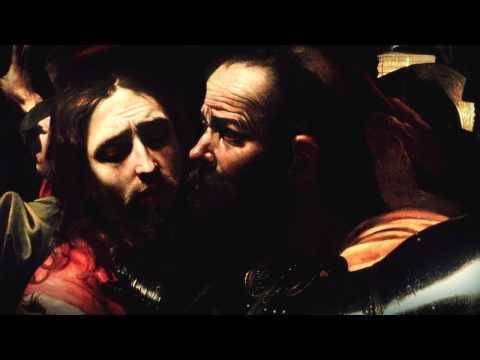 Would there have been redemption for Judas, if he had just waited? Could he have become someone like Peter, who denied Jesus but accepted mercy which led him to become the great church leader that he is? If he had just waited until Sunday, would he have believed that Jesus was indeed the person he had been waiting for his entire life? 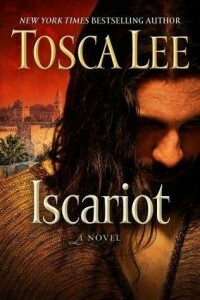 I admit that I may be just a little biased because I love everything that Tosca has written, but if you would read any of her work, I think Iscariot: A Novel of Judas is the best place to start. It’s not the easiest thing to read, but it’s one that will leave you longing for your Savior. Where did October go? I seriously do not know. I knew it was just crazy (but good! ), and now it is November and I am still going crazy. I had planned to blog several times here, really, but gah, all I want to do when I go home after work is sleep. Sleep. Sleep. And I think I will still be busy until 2012 ends. :( I feel like I’m going to crash at any time and like I would need a Nolan N90 helmet to stop me from getting too burned out. Gah. 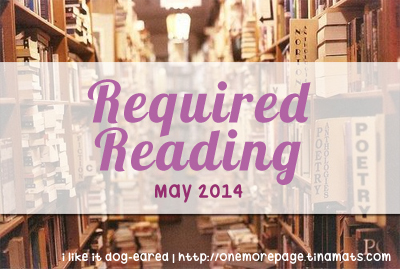 I realized that I didn’t have a Required Reading post last November because I was too busy with NaNoWriMo. 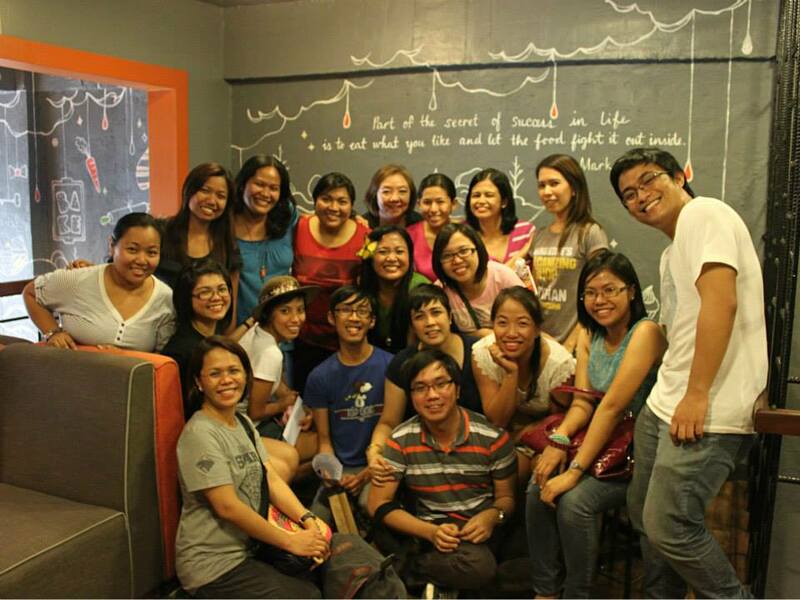 I almost didn’t want to have a post for this year because I am still busy, but I realized — what the heck. 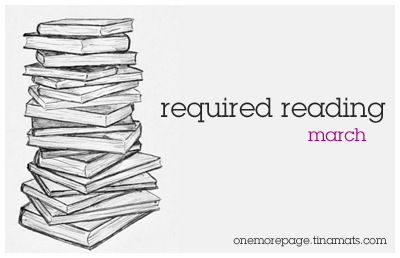 It’s not like there are brand new books on my list anyway. And nothing’s stopping me from trying, right? 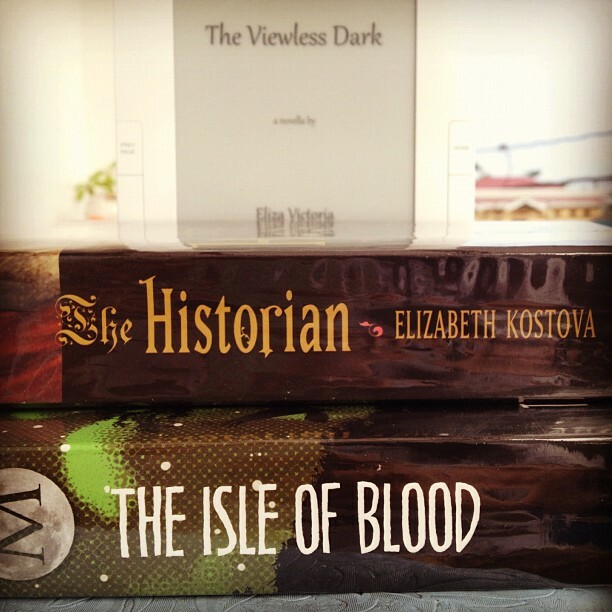 The Viewless Dark by Eliza Victoria (4/5) – Totally creeped me out. I liked it! I have a bunch of Eliza’s book pending for review. 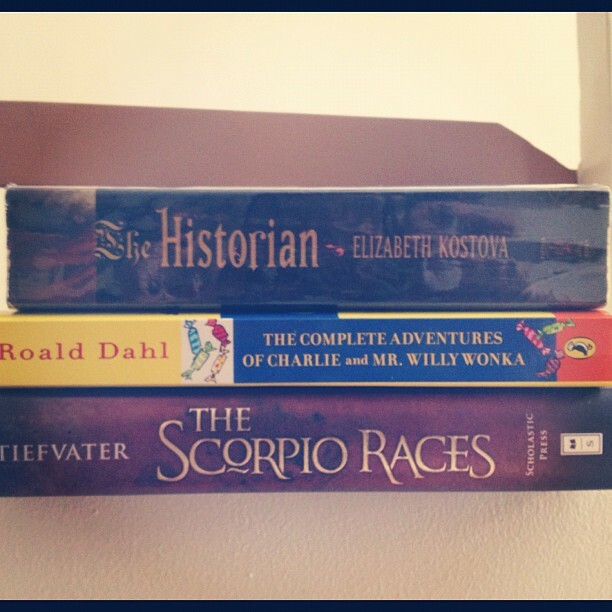 One day I will write about all of them! I’m still in the middle of The Historian and Isle of Blood, and honestly I don’t know when I will be able to read them, but I am easing pressure on myself. Because it’s never fun to be pressured, yes? On to this crazy, crazy month! 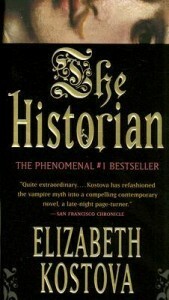 The Historian by Elizabeth Kostova — still ongoing, and I’m halfway through! :) I can definitely finish this before the discussion. The Complete Adventures of Charlie and Mr. Willy Wonka by Roald Dahl – this is for our December discussion, and I kind of want to get tot his earlier than usual so I won’t cram. We will be discussing Charlie and the Chocolate Factory , but since I saw this book has both Charlie stories in, I decided to get this one instead. This should be an easy read, right? 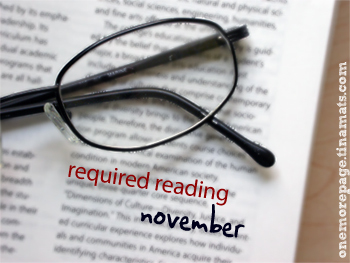 The Scorpio Races by Maggie Stiefvater – only because November plays a big part in this novel. I have no idea if I will be able to crack into this, though. Just like that, we’re in the final quarter of the year. How about that! September wasn’t a bad reading month, but a lot of things happened in my personal life which also kind of affected my reading, but not in a bad way. And there were also many changes that happened in our book club which kind of took me by surprise, but I think things have settled down now, and I hope things can only get better after this! In Cold Blood by Truman Capote (3/5) – I enjoyed this a bit more than I expected, and the book discussion helped me appreciate the book more. Cloud Atlas by David Mitchell (5/5) – Oh my stars. I loved this one. I wrote more in my review, so all I’m going to say now is that I am looking forward to reading everything else that Mitchell wrote. And watch the movie. The Girl Who Circumnavigated Fairyland in a Ship of Her Own Making by Catherynne M. Valente (4/5) – It’s been a while since I read fun YA fantasy, and this one was not just fun, but also quite deep. I liked how whimsical and smart it is and it’s made its way to my best of 2012 reads. :) I can’t wait for the next book. So, my October choices have me just a bit nervous because I’m not a fan of this genre, but of course, I have to let myself experience the chills every year, right? Right? So bring on the horror, yes? 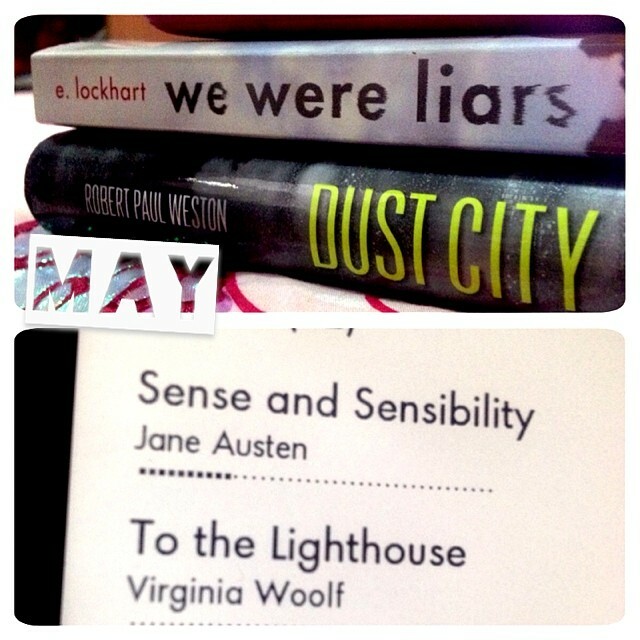 I’ve also got two classics up for this month – Little Women and a reread of Pride and Prejudice, so it’s going to be a busy reading month for me. I just hope I get out of this slump. :D And you know, blog more.